“4 Delivery” (4D) are partnered with Southern Water to deliver the bulk of the AMP4 construction programme. 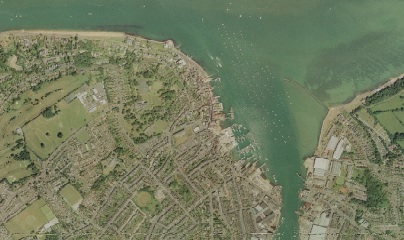 One cluster of schemes to solve flooding problems is in Cowes on the Isle of Wight. RAA undertook the modelling aspects of the schemes to solve DG5 flooding in this catchment. generally very steep and it is known that in several locations there is significant overland flow contributing to the flooding problems. This commission was to re-verify the existing InfoWorks CS model with a new flow survey which had just been completed. flooding locations within both the East Cowes and West Cowes catchments.